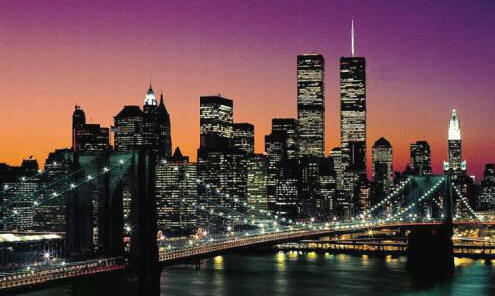 A guide to New York, NY, United States for the families, friends, business meetings market. Description: International Restaurants to wine & dine in on your visit to NYC..
Why: Excellent French Restaurant, it has recently opened in Brooklyn. Why: Lovely Mediterranean Food in a lovely venue in NoHo. Perfect for a romantic meal. Why: Nice, cozy and accommodating restaurant in Harlem. Why: Lovely seasonal dishes, Californian style dining in the East Village. Why: Really classy restaurant in the Lower East Side of Manhattan. Why: Recently opened 50 seat restaurant in NYC. Lovely seafood dishes there. Why: Recently opened Indian Restaurant in Brooklyn. Why: Really nice Irish Pub/Restaurant in SoHo. Why: Enjoy traditional British cuisines at The Peacock. Why: Awesome Irish Pub & Restaurant on Broadway. Why: A great venue to go to when visiting the Brooklyn Museum. Why: Perfect if you like French Cuisines and Cognac tasting. Why: Lovely Chinese Cuisine at the Lincoln Centre. Why: Lovely American GastroPub in Brooklyn. Why: Perfect for Sushi Lovers! Why: Lovely Upper East Side Japanese Restaurant. Why: Awesome Japanese Steakhouse on Fourth Avenue. Why: One of NYC top 30 most popular restaurants. Why: Traditional American Cuisine in Midtown, near Time Square! Why: Lovely venue for traditional American Cuisines. Why: Lovely Italian restaurant located in Brooklyn. Why: Really nice place to get your authentic Italian Pizza. Why: Fifth Avenue's Signature Italian Restaurant. Why: A traditional German Pub/Restaurant in Brooklyn. Why: Traditional German Restaurant with Beer Garden. Why: Authentic German Diner in Staten Island. Why: Good German Food at reasonable prices. Why: Authentic Mexican food in Queens. Why: Lovely venue to enjoy authentic Mexican food. Why: Awesome Mexican Restaurant in Columbia St.
Why: Perfect place to get your spicy Mexican food in Brooklyn. Why: The best of Greek foods in Queens. Why: Awesome traditional Greek dishes in Queens. Why: Awesome midtown Greek restaurant. Why: Perfect for a casual Greek lunch or dinner. Why: Awesome taste of Australia. Why: Really nice atmosphere in this Australian Restaurant. Why: Awesome Australian restaurant to go to on the Lower East Side. Why: Traditional Australian Cuisine in Brooklyn. Why: Continental Cafe in the Upper West Side. Why: The intercontinental Bar & Grill 3 star restaurant in NYC. Why: A really nice cafe in Midtown NYC for Continental foods. Why: Lovely Venue Continental Restaurant, serving European Farmhouse dishes. Why: Awesome Moroccan Bistro near Central Park. Why: Really nice Moroccan CafÃ© in SoHo.